Download a PDF version. Click here. This month we are featuring several books from the EBSCO ebook collection. These ebooks provide two options: PDF Full Text and Download. Only one download is allowed at a time, but you can still access the book by clicking on PDF Full Text. You can also jump to a specific chapter by scrolling down the page to the table of contents – this table is also on the left-hand side after clicking on PDF Full Text. - Am Fam Physician 2016;94(12):993-9. - NEJM 2017;376(12): 1147-57 (6.1) and Prescrire Int 2017;26(178);16-7 (6.2). - J Clin Gastroenterol 2017;51(4):324-30. - Am J Respir Crit Care Med 2017;195(5):596-606. - Mayo Clin Proc 2017;92(3):449-54. - Am Fam Physician 2017;95(3):164-8. - Acad Emerg Med 2017;24(3):371-381. - Am Fam Physician 2017;95(2):100-7. - Am J Sports Med 2017;45(1):226-233. - J Pain Symptom Manage 2017;53(3):614-29. - Am Fam Physician 2016;94(12):972-9 (21.1) and Child Adolesc Psychiatr Clin NA 2017;26(2):329-339 (21.2). - Mayo Clin Proc 2017;92(3):467-79. - Postgrad Med J 2017;93(1096):82-90. 26. Complex instability of the elbow. - AJR Am J Roentgenol 2017;208(3):W60-W70 (28.1) and pp 485-8 (28.2). - Lancet 2017;389(10074):1134-50 (29.1) and Eur J Cancer 2017;75:284-98 (29.2). - Psychiatr Clin NA 2017;40(1):127-140. - Am J Obstet Gynecol 2017;216(3):226-231. - Am J Emerg Med 2017;35(2):337-341. - Pediatr Clin NA 2017;64(2):331-342. - Crit Care Med 2017;45(4):575-83. - Hosp Med Clin 2017;6:283-94. - Ann Fam Med 2017;15(2):120-3. - J Am Coll Cardiol 2017;69(11):1363-71. - Ann Fam Med 2017;15(2):124-30. - J Subst Abuse Treat 2017;76:69-76. - Am J Respir Crit Care Med 2017;195(6):748-56. - Ann Intern Med 2017;166(3):209-18. - J Am Coll Cardiol 2017;69(11):e71-e126. - Crit Care Med 2017;45(3):e306-15. - Ann Emerg Med 2017;69(4):480-98. To access the lectures, go to the library's Audiovisual webpage. In the Lectures section, click on "Please click here for access details". You will be asked to login. Once you have logged in, you will see instructions on how to login to Audio-Digest and download the mp3 files. To access eBooks, login will be required. Please note eBooks are not available to borrow. 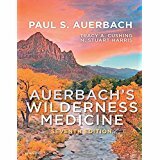 Auerbach’s Wilderness Medicine, 7th ed. Click here for eBook via ClinicalKey collection. 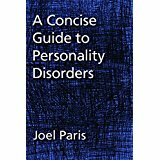 Click here for eBook via EBSCO collection. 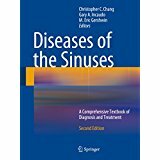 Diseases of the Sinuses, 2nd ed. 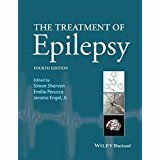 The Treatment of Epilepsy, 4th ed. - JAMA Int Med 2017;177(3):309-10. - Sci Am 2017;316(3):38-43 (50.1) and Sci Am;316(4):47-53 (50.2). Please note that the articles included in Cites & Bytes are for your information and are not considered College policy.